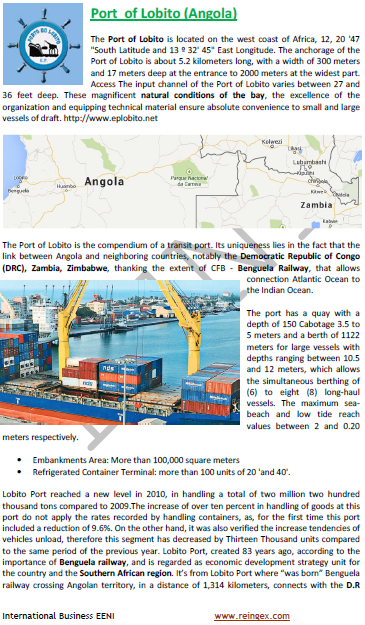 Syllabus of the Online Course (Subject): Port of Lobito (Angola). Access to the Democratic Republic of the Congo, Zimbabwe, and Zambia. Description of the Online Course: Port of Lobito (Angola). Benguela Railway (Caminho de Ferro de Benguela). The Port of Lobito belongs to the Central African Economic Area (African Civilisation).